View More In Epilators, Groomers & Trimmers. Sleek is simple with the REMINGTON Smooth & Silky Body & Bikini Kit. 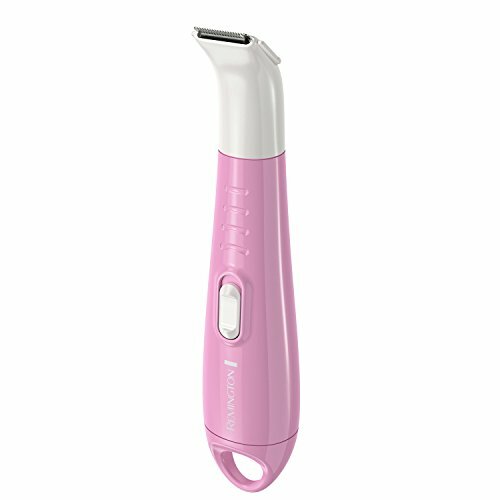 The bikini trimmer and adjustable length guide are perfect for quick touch-ups and shaping the bikini line. The angled foil shaver gets you extra close, with a hypoallergenic foil to help prevent skin irritation. The rotating exfoliator helps prevent ingrown hairs and razor burn, and you can find your most comfortable trim with the wet/dry design. Plus, the included beauty bag keeps the kit organized for storage and travel.